New British Drama, "The Making of a Lady"
Based on the novel by celebrated writer Frances Hodgson Burnett (The Secret Garden, A Little Princess),The Making of a Lady is the story of the educated but penniless Emily Fox Seaton (South Riding, Any Human Heart). 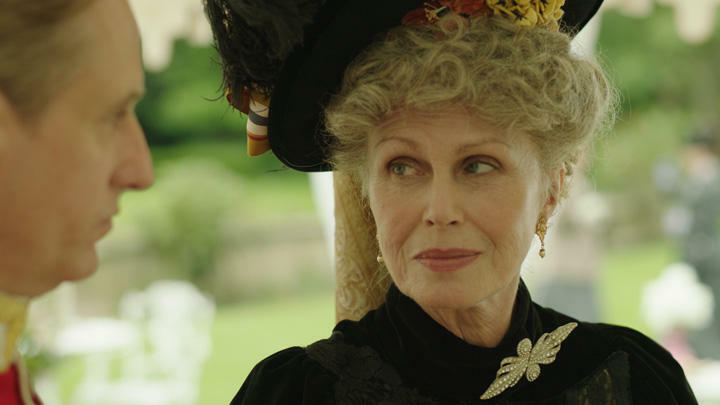 During her duties as a lady’s companion for Lady Maria (Joanna Lumley, Absolutely Fabulous, Marple), she meets her employer’s wealthy widower nephew, Lord James Walderhurst (Linus Roache, Titanic, Batman Begins). Accepting his practical, if unromantic, marriage proposal, Emily finds solace in the company of Walderhurst’s nephew Alec Osborn (James D’Arcy, Cloud Atlas, Hitchcock) and his glamorous wife, Hester (Hasina Haque), after Lord James leaves to rejoin his regiment. But all is not what it seems as an increasingly contented Emily has no inkling her life is actually in danger. While Walderhurst risks his life overseas, Emily, alone with the Osborns, seems powerless to avoid the threat that begins to encircle her and begins to fear for her life. The story has been adapted for the screen by Kate Brooke, whose other work includes Mr. Selfridge and The Forsyte Saga. Everyone is anxiously awaiting the Jan. 5 premiere of season 4 of Masterpiece Classic's "Downton Abbey," but in the meantime WV PBS is giving our viewers a chance to catch up and re-familiarize themselves with the key players in this British drama. Season 1 aired in a marathon in September, and starting Sunday, oct. 13, at 10 p.m., we begin broadcasting season 2 on a weekly basis.